Morning ride. Clutching her collar against the cold. Finger on the pulse. Waiting for the red light to change. You have a great website, love the pics, inspirational. 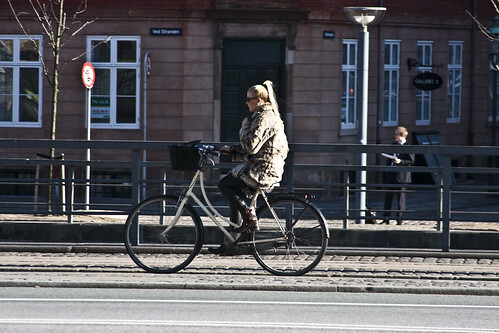 Would you happen to have any pictures of Black Danes in Copenhagen looking chic on their bikes? 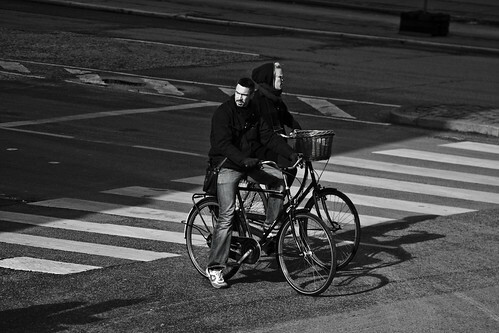 I think that I've only seen one or two and it makes me think that there's no people of color living in Copenhagen. Which I know is false. 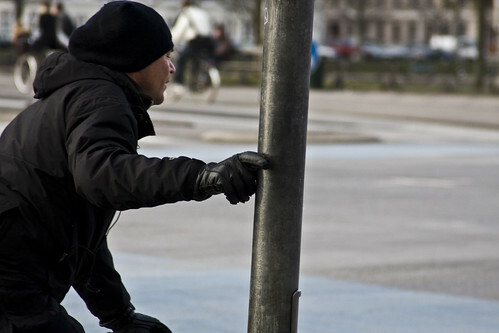 I lived in Gothenburg, Sweden for four years and the immigrant population there is exciting. Just a question.